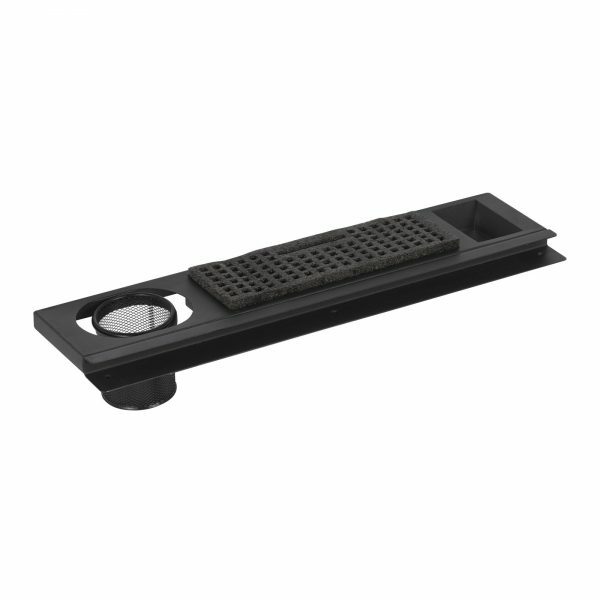 The Premier Metal Art Tray (24”) by Studio Designs is constructed with durable, powder-coated, steel. The 7/8" U-shaped opening accommodates most of our Studio Designs tables or any tabletop between 3/4”- 5/8” thick. 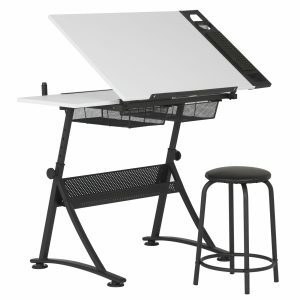 This workspace organizer features an oscillating mesh cup and deep compartments for your art supplies. 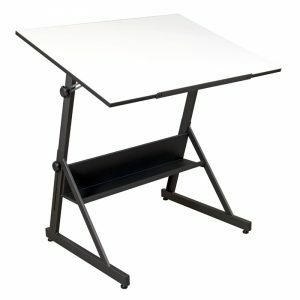 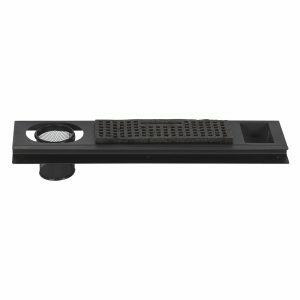 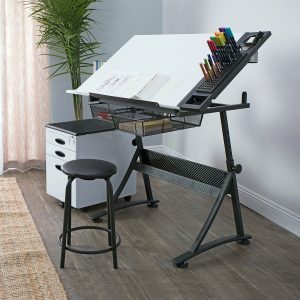 It can be mounted to the left or right side of most art tables. 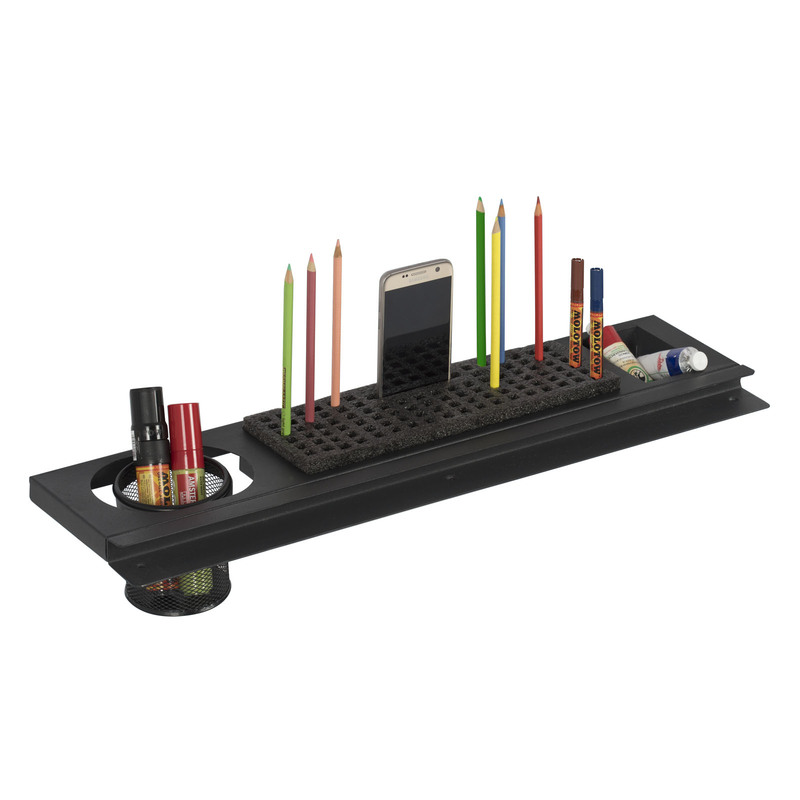 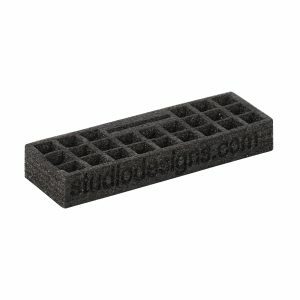 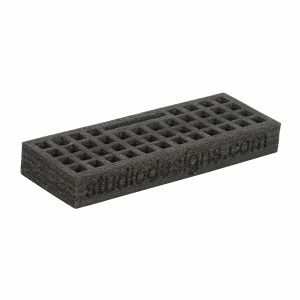 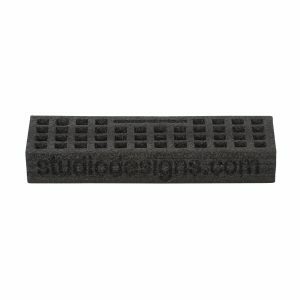 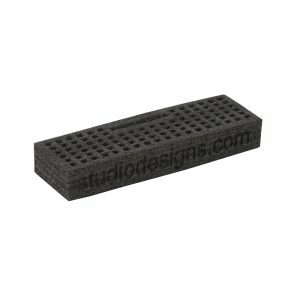 You also get our new, removable “Flexible Foam Organizer Tray” (also sold separately) to keep your pencils, brushes, and markers in order and a cell phone slot to keep your phone clean and close during your projects.